BREL stands for British Rail Engineering Limited, which was the engineering division of British Rail until the design and building trains in the UK was privatised. In 1962, British Railways transferred control of all its main works to a central body called British Railways Workshops Division, with its headquarters in Derby. The Transport Act of 1968 allowed the railway to seek outside contracts and in 1970, the Workshops Division was renamed British Rail Engineering Limited. "As a result of the 1968 Transport Act, British Rail Engineering Ltd. was formed on 1st January 1970 as a wholly owned subsidiary Company of British Railways Board to take the place of the Workshops Division. It was empowered to undertake work not only for British Rail but also for "outside" undertakings." From nationalisation, design responsibility had passed from the various constituent railways to the Central Executive. In 1962 this became the British Railways Board Its technical staff were under the control of the Chief Mechanical and Electrical Engineer, later renamed Director of Mechanical and Electrical Engineering. They, along with the headquarters staff of BREL, moved into purpose built accommodation at the Railway Technical Centre in Derby. At the same time, the new British Rail Research Division was formed as a separate entity, reporting directly to the Board. On the 31st October 1969 the company was incorporated as British Rail Engineering Limited. 1982 BREL appointed its first marketing manager - Derek Price. 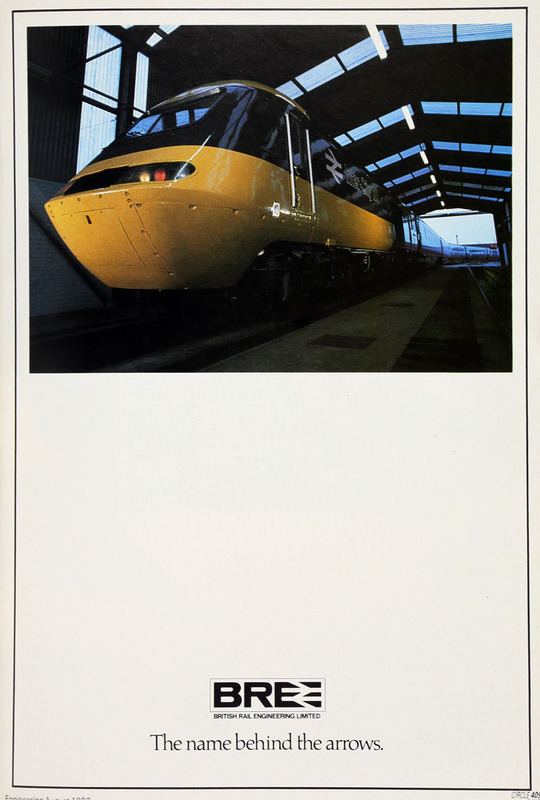 In 1988 it was split into British Rail Maintenance Limited (BRML), whose ownership was retained by British Rail, and British Rail Engineering (1988) Limited which was prepared for privatisation. BREL operated train building factories at several sites, with the major production centres being at Crewe, Derby and York. The historic site at Wolverton in Milton Keynes was progressively run down until the 1980s before finally being relegated to maintenance duties only. However, not all British Rail rolling stock was built in-house - some coaches and multiple units were built by Metro Cammell at its Washwood Heath plant in Birmingham, whilst certain locomotives were built by the likes of Brush Traction and Metropolitan-Vickers, although in general, any outsourced stock was still built to BREL specifications. 2001 ADtranz was bought by the Canadian conglomerate, Bombardier. The privatisation of British Rail caused a hiatus in the ordering of new rolling stock, which ultimately led to the demise of the York works. Following the closure of the Metro-Cammell (then Alstom) plant in Birmingham in 2005, only the former BREL facility in Derby remains as a major manufacturer of rolling stock in the United Kingdom from BR days. This page was last edited on 11 January 2019, at 12:08.